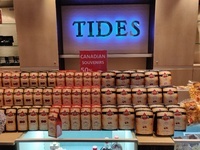 Took the Canada/New England cruise with a last-minute solo offer and was my second cruise on NCL. 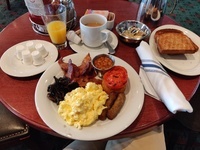 Overall it was great value, but food and service were not as good as the Norway cruise on NCL Star two years ago. ★The GOOD★ Excellent itinerary (overnight at Quebec and 8 other ports of call) with reasonable port hours and just two sea days. Dock at Quebec City was farther away from the old town but still walkable. Departures at 5pm could squeeze port visits, but that also meant we usually sailed out just before sunset. Entertainment is subjective, but most productions were well delivered - the band and production cast were outstanding. The loudspeakers&apos; volume could tame a little but I don&apos;t think the music genres were out of place. The guest magician was underwhelming. Took part in the Canvas by U! painting class on the first sea day. At $35 it was reasonably priced and we all had a good time, albeit a bit rush. Cruise director staff could proceed slower as I had no time to just wash the brush. Spinnaker Lounge was a great place to hang out. Breakfast in main dining room looked and tasted better, though the parfait could use fresher granola. There are always 2-3 new "daily features" except for the last day. Embarkation in Quebec and disembarkation in New York both smooth and quick. Onboard passport clearance at Portland more efficient than I had anticipated. 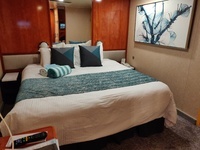 ※The AVERAGE※ Most inside / oceanview staterooms are small and come with only one stool that was uncomfortable to sit on. Carpeting and textiles in the room have been updated and I hope they will keep the fixtures too, especially the square table. Good storage options. Plenty of hooks in bathroom plus a clothes line, so it was easy to hand wash clothes. Had all dinners in the main dining rooms and Asian restaurants. Had a couple of good Cuban mains, but execution of Asian dishes were uneven, mostly sub-par and bland. Red meat still a safe bet. None of the dessert was impressive. Buffet breakfast lacked rotation and real sausages. Variety would be fine for a weekend getaway, but it was a 12-night cruise. No complaint on the quality though. No more annoying push for drink and dining packages (probably because many already had them as part of their ticket), instead front line staff would go an extra mile to ask you write appreciation letters. ▼The BAD▼ Mandatory drill was first scheduled at 3:30pm on embarkation day. An outright stupid decision as we were going to dock overnight at Quebec. So it was cancelled after 3pm because few were onboard and postponed to 5pm the next day. It disrupted schedules of those who planned to make good use of their first day in Quebec after embarkation. Announcements were minimal on this cruise. 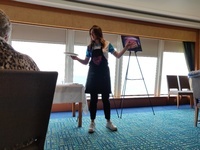 Missing the many engaging updates from bridge crew and cruise director I had in my 2016 cruise. 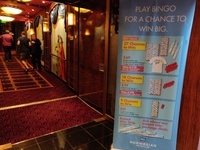 Two of the four Deal or No Deal game shows on this cruise were cancelled due to low participation. No day-time performances or movies in main theatre during sea days. Instead movies were shown in atrium with limited seating and all the ceiling light effects on. 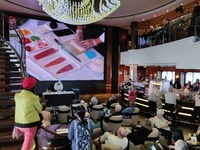 No free movie-on-demand in staterooms and most channels were showing NCL’s own promotional clips. As with my previous NCL experience, there was no attempt to run enrichment programs or activities related to the places we were visiting. Grand Pacific - one of the two main dining rooms. 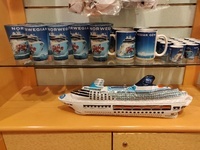 Ship-specific festive ornament from the onboard shop. Main pool that was mostly empty on this chilly cruise. One of the two failed Deal or No Deal shows. 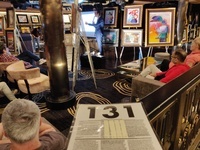 Art auction on 2nd sea day at the Bliss lounge. Movie showing in atrium on 2nd sea day. Clearance on sea day was way more popular. Bingo! That price tag was discouraging. 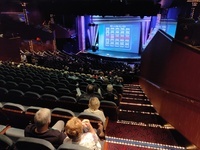 Final-day Bingo was held at the Stardust Theatre. Sushi at dinner buffet on last day. Statue of Liberty from the ship, hours before disembarkation in NYC. Lower Manhattan with NYC 1 as ship sails up Hudson River. Norwegian Gem as seen from the Intrepid Museum, hours after disembarkation. Cabin 5021, view of bed from cabinet corner. Magenta Main Dining Room, midship. Sail away from Quebec at around 8pm. Garden Cafe overlooking Saguenay River. Spinnaker Lounge, overlooking Saguenay River during sail away. Orange peel beef with rice at Orchid Garden. Chinese (Mandarin) lesson in atrium in the morning. Canvas by U! 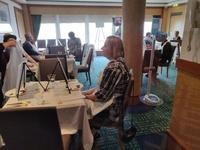 painting class - 1st sea day with the "Northern Lights"
Took the Canada/New England cruise with a last-minute solo offer and was my second cruise on NCL. 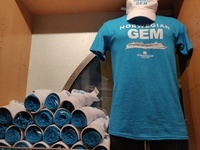 Overall it was great value, but food and service were not as good as the Norway cruise on NCL Star two years ago. Excellent itinerary (overnight at Quebec and 8 other ports of call) with reasonable port hours and just two sea days. Dock at Quebec City was farther away from the old town but still walkable. Departures at 5pm could squeeze port visits, but that also meant we usually sailed out just before sunset. Entertainment is subjective, but most productions were well delivered - the band and production cast were outstanding. The loudspeakers&apos; volume could tame a little but I don&apos;t think the music genres were out of place. The guest magician was underwhelming. Took part in the Canvas by U! painting class on the first sea day. 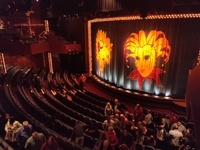 At $35 it was reasonably priced and we all had a good time, albeit a bit rush. Cruise director staff could proceed slower as I had no time to just wash the brush. Spinnaker Lounge was a great place to hang out. Breakfast in main dining room looked and tasted better, though the parfait could use fresher granola. There are always 2-3 new "daily features" except for the last day. Embarkation in Quebec and disembarkation in New York both smooth and quick. Onboard passport clearance at Portland more efficient than I had anticipated. 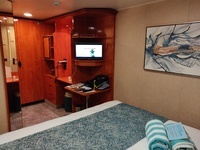 Most inside / oceanview staterooms are small and come with only one stool that was uncomfortable to sit on. Carpeting and textiles in the room have been updated and I hope they will keep the fixtures too, especially the square table. Good storage options. Plenty of hooks in bathroom plus a clothes line, so it was easy to hand wash clothes. Had all dinners in the main dining rooms and Asian restaurants. 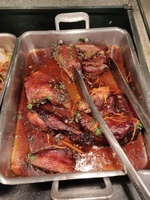 Had a couple of good Cuban mains, but execution of Asian dishes were uneven, mostly sub-par and bland. Red meat still a safe bet. None of the dessert was impressive. Buffet breakfast lacked rotation and real sausages. Variety would be fine for a weekend getaway, but it was a 12-night cruise. No complaint on the quality though. No more annoying push for drink and dining packages (probably because many already had them as part of their ticket), instead front line staff would go an extra mile to ask you write appreciation letters. Mandatory drill was first scheduled at 3:30pm on embarkation day. An outright stupid decision as we were going to dock overnight at Quebec. So it was cancelled after 3pm because few were onboard and postponed to 5pm the next day. It disrupted schedules of those who planned to make good use of their first day in Quebec after embarkation. Announcements were minimal on this cruise. 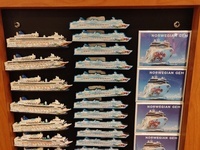 Missing the many engaging updates from bridge crew and cruise director I had in my 2016 cruise. 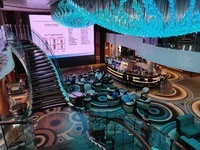 Two of the four Deal or No Deal game shows on this cruise were cancelled due to low participation. No day-time performances or movies in main theatre during sea days. Instead movies were shown in atrium with limited seating and all the ceiling light effects on. 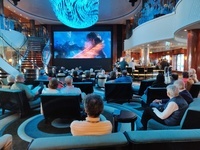 No free movie-on-demand in staterooms and most channels were showing NCL’s own promotional clips. As with my previous NCL experience, there was no attempt to run enrichment programs or activities related to the places we were visiting. Chosen by system upon booking and will avoid it next time. Proximity to forward lift lobby wasn&apos;t a major concern, but one side of the cabin wall was facing the corridor. Without the bathroom as a partition, I could hear a lot of late night walking outside from the bed. Otherwise the L-shaped cabinet/closet layout was quite handy. A lot of storage space and flat surface. Fixtures and textile very well maintained and cabin steward did a great job in keeping my mess in check. Closet safe failed to open after entering correct password once, but it was again fine moments later. Power socket next to ice bucket was European continental two-pin. At least one functioning USB charging portal on TV set. Acadia National Park is a must-do, though I didn&apos;t find the scenery to be exceptional. Maybe because of the gloomy weather. The town itself is cozy with a number of restaurants and shops. Check low tide times in advance in order to hike on the Bar Island. I saw the tide came in and the sand bar could become inaccessible quickly. 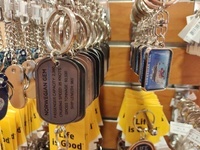 Charlottetown might seem small, but it boasts some of the most sophisticated and yet affordable handcraft sellers among all the places I&apos;d visited in this cruise. Many of those stores were between the cruise ship berth and the main street. An Irish pub (Olde Dublin) serves CAD1 oysters after 4pm upon drink consumption - those were reasonable good. Most attractions are within walking distance and some of them, such as the immigrants&apos; museum and the farmers&apos; market are right next to the ship berth. It was easy to pack a day with multiple museums and heritage sites. A lively, lovely small city with plenty of artisan bakeries, craft breweries and a good art gallery. Also highly recommend the Portland City and Lighthouse Tour with the Portland Discovery Land & Sea Tours. Docked at Berth 30, closer to the bus and train terminus. Berth can be accessed from either the motorway leading to bus terminal (outer pier), the inner harbor promenade leading to the old market, or a harbor bridge linking the other two old port berths. Note trains may pass by to block the access via inner harbor and bridge. Old city is within walking distance (20 minutes). Montmorency Falls is an easy 30-minute ride from Berth 30 by bus 800. Welcomed by friendly, warm and dressed-up residents at La Baie pier with excellent blueberry pies and lumberjack contest. While there aren&apos;t any star attractions in the vicinity, Parc de la Rivière-du-Moulin in autumn was a very pleasant surprise. Went there by bus #5 (hourly departures, ride takes 35 mins) and found out park was larger than indicated on Google Map - the entire section of the rapids down to the Saguegay River is accessible by marked paths. The park was not large - it should take probably two hours to complete one way, depending on which route to follow. There are plenty of paved and rugged paths connected together and the unpaved trail was actually easy to walk on a slightly wet day. Maps are distributed to show the highlights along the rapids. It was relatively quiet during my visit due to light rain, but still the fall colors were bursting. 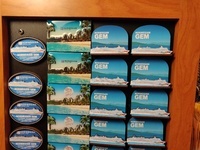 My most memorable excursion in the entire cruise! There was a large mall near the park&apos;s visitor center with a few other restaurants nearby. La Baie the town itself features a few interesting shops but there was not a lot to see. Went to the Miners&apos; Museum at Glace Bay on a public bus, though the walk from downtown Glace Bay to museum takes about 20 minutes. Coal mining used to the economic mainstay of the area - the museum not only presented the history with artifacts and exhibits, but also a hands-on experience in an underground coal mine. While the mine was built in the 1960s for the museum, it does contain real coal and have very low ceilings. The mine tunnels can only be visited by tours guided by retired miners and it took over an hour. It was both informative and fun. Also highly recommend the on-site restaurant, which serves excellent lobster rolls. Note it only opens seasonally and closed in mid-October for the 2018 season.